Handmade illuminated wall art by Gerard Russo. Gerard is located in the Dandenong Ranges, Melbourne's Backyard. 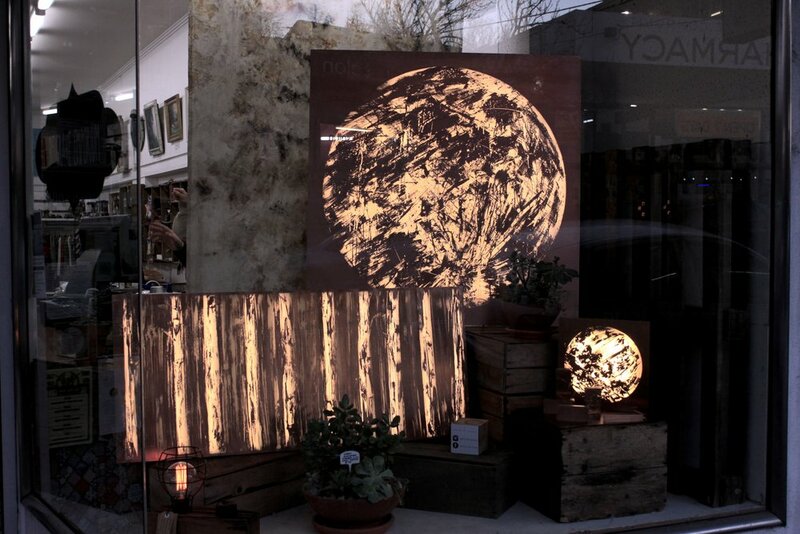 He is responsible for every element of every light box, from sourcing and milling the recycled timber to wiring, etching, constructing and of course, the artwork that goes on them. 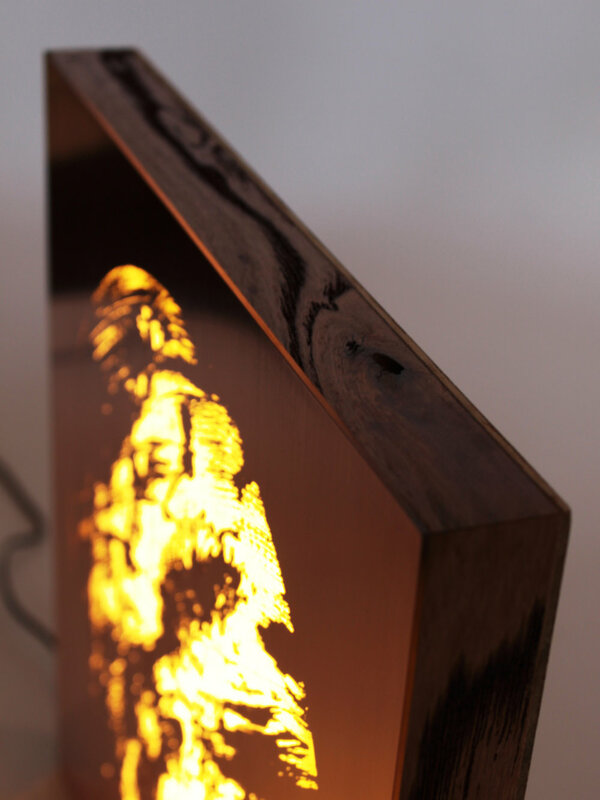 Each light box utilises LED lighting within its custom enclosure. The artwork itself is forthright, where even the texture of the brush-strokes can be seen in the etched sheen of the metal surface. 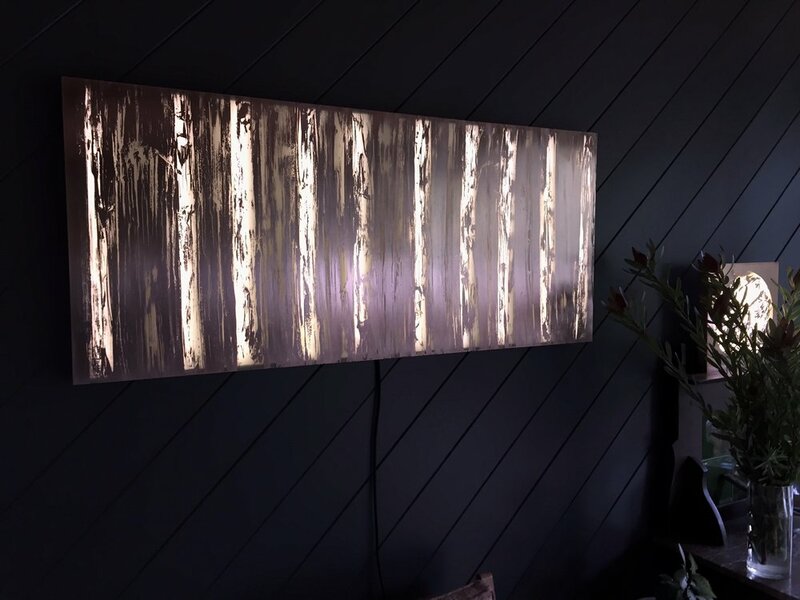 Unlike a traditional frame, the copper faceplate is mounted before the finishing of the walls takes place, creating a genuine cross-section design of copper, light and timber. 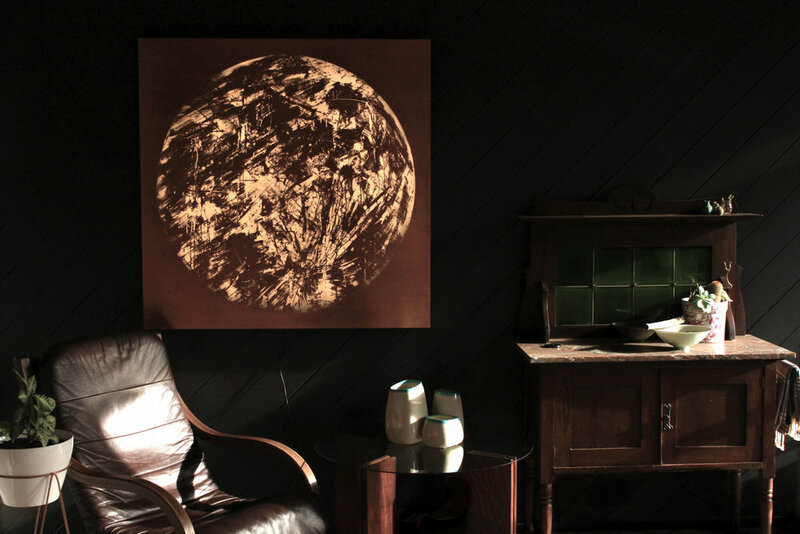 A number of pieces are usually for sale and/or on exhibition in various locations. For any more questions please enquire. All material on this website is the copyright of Gerard Russo.